It is repeatedly signified that one needs to follow a healthy balanced diet. 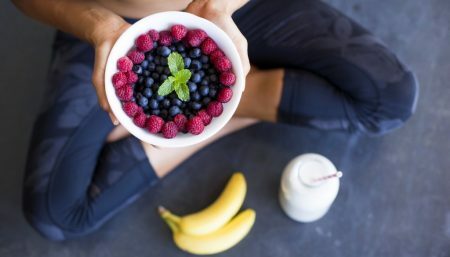 The sattvic diet, also called the yogic diet, is a nutritional approach to achieving higher consciousness through the consumption of fresh, whole foods. The purpose of food needs to be understood before choosing what to eat. Why do we need to eat? Fresh food gives lightness, happiness, joyfulness and increases intelligence. The food should be suitable for the mind, body, intelligence and soul. 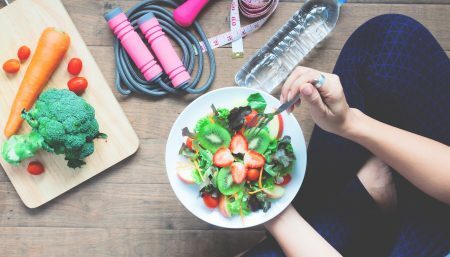 There are no special dietary rules for asana practitioners although there are many recommendations with the main ones being to eat natural foods and eat in moderation. Yoga advises a vegetarian diet, particularly as it is preparation for the higher forms of yoga. Vegetarian food has been found to promote inner calmness and harmony between the body and mind, whilst eating meat has been linked with inner tension, anger, disharmony and an increase in desires. Vegetarianism is the basis of a sattvic diet. 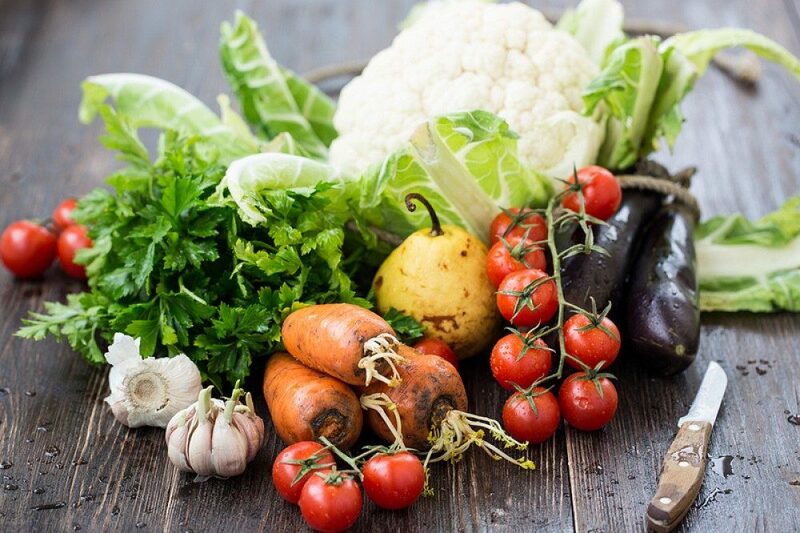 A yogic diet ideally follows a sattvic or pure food diet. A balance of fresh fruit, vegetables, cooked whole grains, milk, legumes, nuts and seeds, using a combination of both raw and cooked foods. These foods increase sattwa (one of the three cosmic qualities or Gunas ) in the body because they are light, simple and supply all the necessary nutrients. They increase our physical and mental vitality making it easier to experience clarity, lightness and peace of mind. Rajasic foods on the other hand are prepared with much oil and spice. They create heaviness and restlessness in the mind. Meat and fish are classified under these. Onion and garlic are also under this group as they increase desire. Tamasic foods are foods that are old and stale. They lower the energy and cause laziness. They include foods that are not cooked properly or chewed well and processed foods. Stale, processed and frozen foods have lost their pranic energy. If we try to eat only sattvic foods as much as possible we can slowly change the body chemistry, renewing the digestive system and taking away any strain. Ideally we should eat foods that take minimum energy to digest, so that the remaining energy can be used for more productive uses. 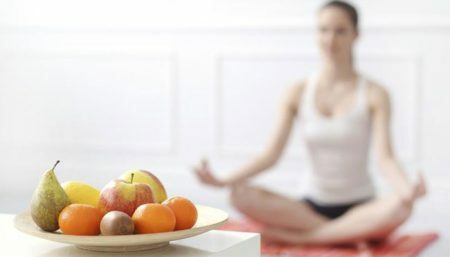 Sattvic foods, include fresh fruit, vegetables, honey, seeds and nuts those which nourish the body and purify the mind, which lead to optimal physical and spiritual health. Therefore, the sattvic diet allows yoga practitioners to lead noble, meditative and peaceful lives free of over-stimulation and debilitating negative emotions. fresh, organic dairy products such as milk, butter and fresh, homemade cheeses are included. Drink approximately 2 litres of water daily. 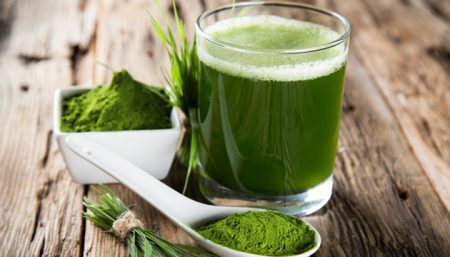 You can increase your overall intake of fluids by drinking herb trees, fruit and vegetable juices, and milk and vegetable milks (coconut, soya, rice milk) and by eating water-rich foods, such as fruits and vegetables. Meat is not allowed. Meat proteins takes a long time to digest and tends to be difficult for the kidneys and liver to eliminate. We can only really begin to live the full yogic lifestyle when we have gone through the first layers of our needs, desires, intuitions and instincts, preparing us for the physical, mental, psychic and spiritual levels. Do not overeat sattvic foods. When sattvic foods are overeaten, they become tamasic foods and invite disease into the body. You should also not over-spice sattvic foods, which turns them into rajasic foods that fuel unwarranted desires and bodily restlessness.